Discover 97 Taylor Road for yourself! Inspired by the stunning northwest countryside, this property is highly recommended for families seeking a relaxed, tranquil and fun-filled lifestyle in an environment where every day is different. 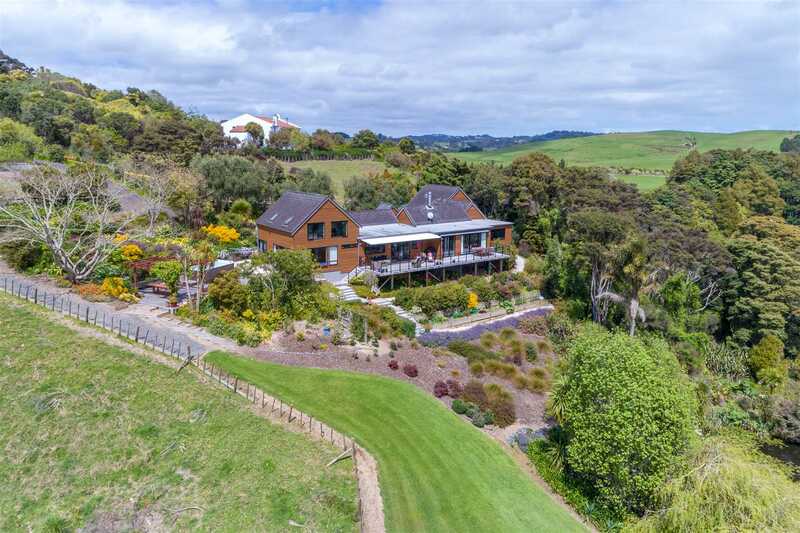 Offering a sense of distance from the crowds and traffic, 97 Taylor Road in Waimauku belongs to a rare breed - a large and attractive property with an endearing quality. The two-level beautifully appointed home reflects the needs of homeowners wanting the best of both worlds - front row seats to magical rural vistas and only 30 minutes off peak to the city. Plus, there's a wonderful local community, with the village, the popular decile 10 Waimauku School and a charming rural day-care, all just five minutes from the house. 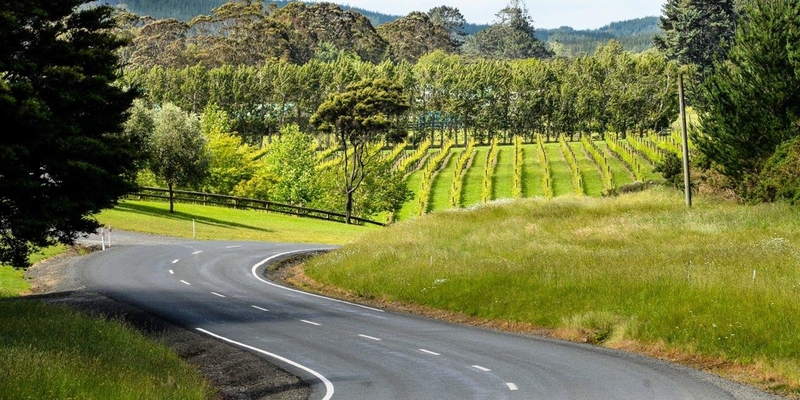 The more or less 1 hectare section is surrounded by farmland, stands of mature trees and some native bush. The gently contoured land runs down to an ornamental pond, attracting an abundance of bird life and the occasional wild deer. There are olive trees and lovely gardens giving the property an overall fairytale appearance. Occupying approx. 385 square metres of floor space, the house blends beautifully with its surroundings. As soon as you enter, you'll appreciate the architectural finesse and overall warmth it exudes. Stunning white cathedral ceilings in most rooms contrast well with the warmth of solid oak floors while the extensive use of glass allows the sun to cascade into the house from all sides. The open-plan entertainer's kitchen with large polished granite breakfast bar and butler's pantry is a focal point of the spacious family area. The northwest facing covered deck features a large automated awning - a great extension to the already substantial living areas. There is an impressive formal lounge with wood burning fire and spacious library/office as a work-from-home option. The sleeping accommodation comprises four stylish bedrooms, including the generous master suite, so you can enjoy stress-free living from the moment you wake up. Have your morning cup of coffee out on the patio, or enjoy a swim in the swim spa, while basking in the first rays of the sun. Two bedrooms and a bathroom are located upstairs. The fourth one is tucked away in a separate wing, with its own kitchenette, ensuite and private entrance, providing potential for extended family living or even a great granny flat. Maybe let others enjoy this idyllic setting with an Airbnb or homestay. A double garage with internal access and carport, wine cellar, separate laundry plus guest toilet completes this desirable home. There is also a 2 bay Total Span shed offering excellent storage or workshop. This is the perfect all-round package. General: 2 paddocks grazing, 1 shed and orchard, 1 lawn garden, 1 house and garden.